From the launch pad of the Jupiter-1 from the 1998 film. 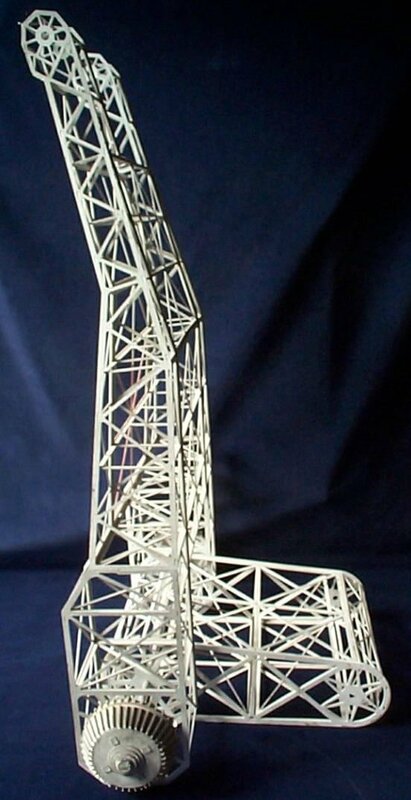 This original model miniature was used near the launch area of the Jupiter-1. This huge "tower" was constructed for the impressive special effect shot at the start of the Robinson's big space adventure. 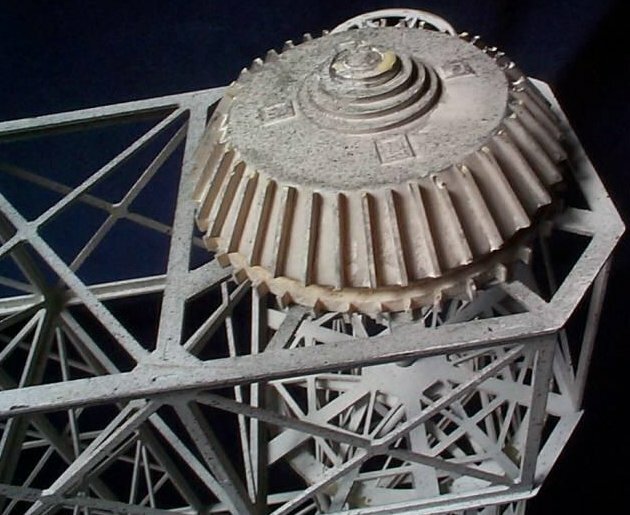 Made from resin & plastic is fairly large at 80 cm tall, & can be seen towards the back of the set as Heather Graham & Matt LeBlanc & crew board the spaceship.